"Going to the Royal High was quite different from the nine months that I had spent previously at Preston Street School. 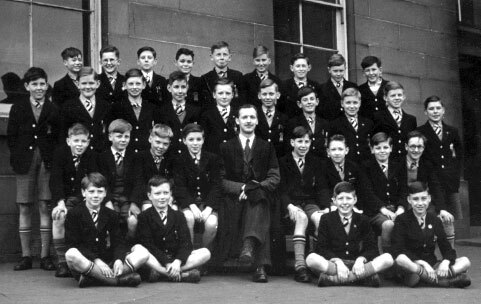 The preparatory school was at Jock's Lodge.  It was a bright, clean, modern building with very good teachers. I settled in immediately and had the right level of challenge." "Here are some of the words that we used at the Royal High School at Regent Road, Edinburgh. - the yards: the tarmac area between the back of old Royal High and the Calton Hill retaining wall. - the dungeons: the area around the front of the school that was generally forbidden to pupils.  - shapes: a mini-football game played by any number, in a knock-out competition, until one only remained. A wall space was nominated and the ball had to be kicked to hit that space. If you missed you were eliminated. The ball had to be played from where it rested. This game was played in Royal High School at Regent Road, where there were many suitable walls. It was played until the school made the move to Barnton, in 1968, where wall space was less and open space were more plentiful." - the rocks: open space in the new school grounds at Barnton." Thank you to John Stevenson for telling me about the time that he spent at The Royal High School, Edinburgh. "I started at Royal High School Edinburgh in 1940, having been a pupil at McLean High School Calendar. In 1940, Royal High School fees were £2 per term (£6 per year). By 1948, they had risen to £5 per term (£15 per year). At that time, the basic wage for a journeyman - a worker who had completed his apprenticeship - at Henry Robb's shipyard where I started work after leaving Royal High School was £6 per week." "I've just seen your web site with photographs of the Art Room in the Royal High School, Regent Road." 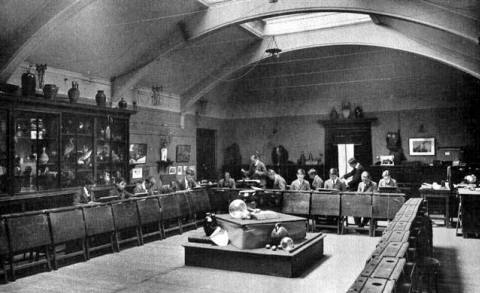 "I can confirm that the photograph does indeed show the former Art Room situated on the top floor of the East extension next to the two adjoining chemistry labs which also had skylights." "This extension along with the nearby Refractory (also known as ‘The Grubby’) was in existence in 1911. 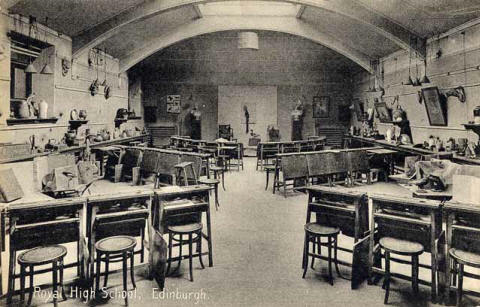 The dining area was open plan for both staff and pupils, the staff being grouped together but similarly seated on long tables, about six a side. The cost of meals was not included in the school fees." "Here is a photo of my class, Form 1A, taken in 1949 with our Form Master, Mr Goble (Latin). Unfortunately, the few ex-pupils that I have been in touch with have now died. John Nicol and David Morris are in the front row, left. I am the lanky boy to the right of Mr Goble." © Reproduced with acknowledgement to James Morton-Robertson for sending the photo to me. 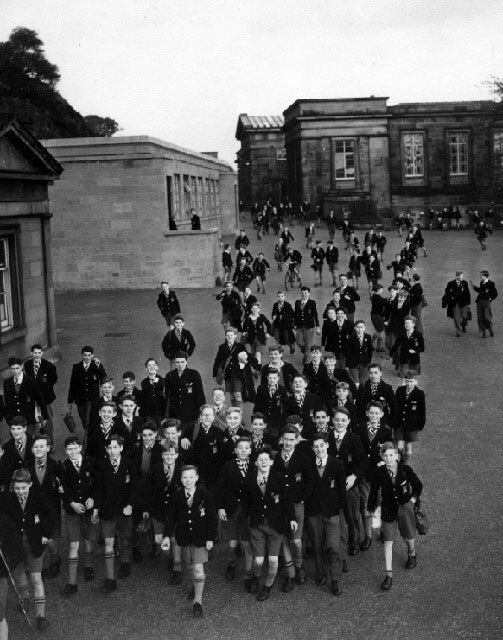 "This photo of Pupils are leaving the Royal High School, Calton Hill Buildings would probably have been taken around 1949-50." and with acknowledgement to James Morton-Robertson for sending the photo to me.